Get a bit higher, more technical and push it a little more on this advanced classic. When riding is your thing and you’re into everything from grunty climbs to technical and tight, fast and flowy. This is our ultimate trip for the truly obsessed. 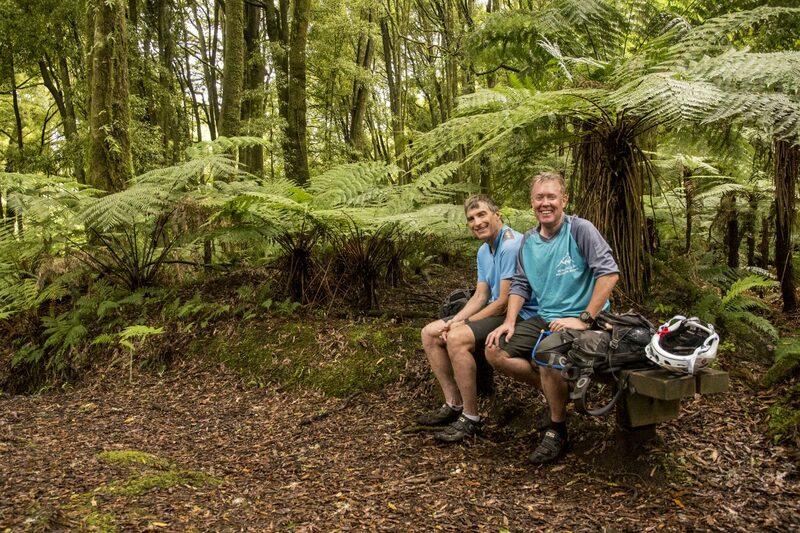 Our trip begins in Rotorua – the capital of mountain biking in New Zealand. 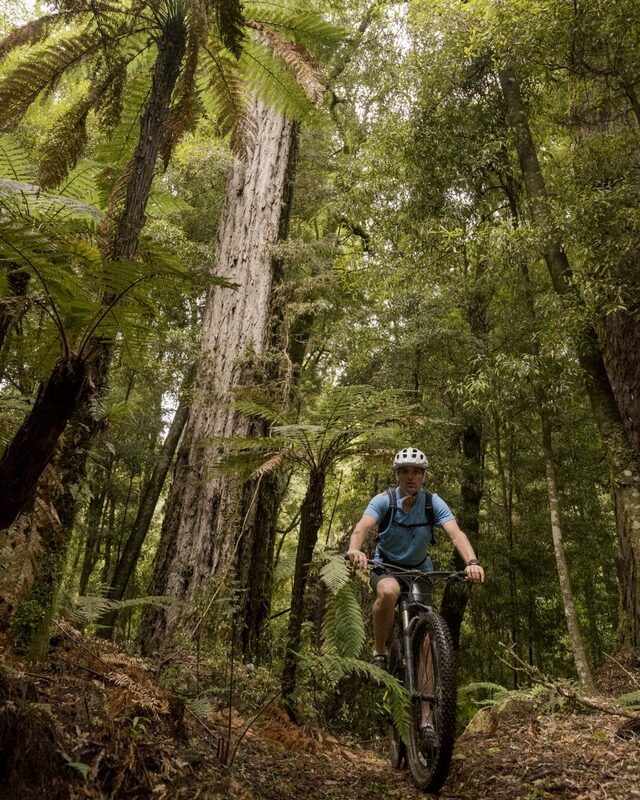 That’s our very biased local opinion, but you’ll see what we mean when we head into “the Redwoods”, as there’s a trail to suit anyone, and no mountain biking trip to New Zealand is complete without descending into the world famous Redwoods! So depending on how jetlagged you are, we can get a sense of what you’re after and hit the perfect trail – smooth flowy goodness with berms galore, to rutty climbs, and technical ditches. 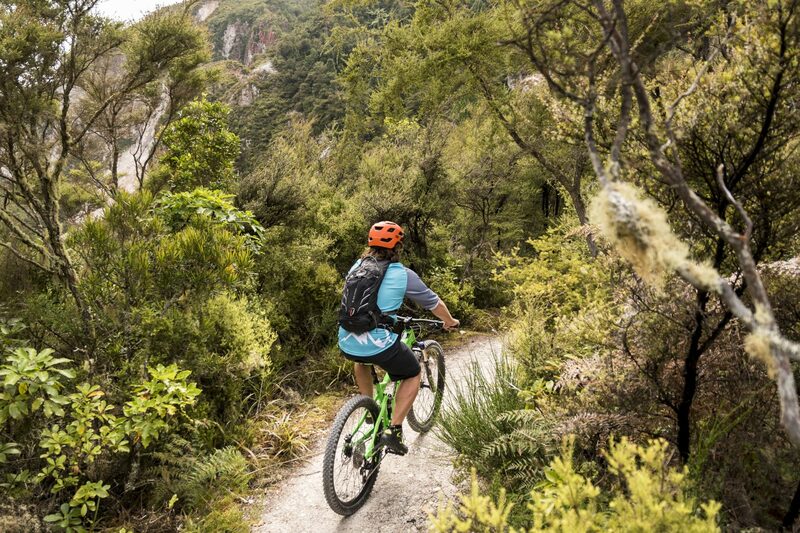 Rotorua is famous for its “Hero Dirt” – tacky, with minimal rocks – all set up for maximum fun. We’ll head south this morning towards New Zealand’s largest lake – Lake Taupo, and make our way west to the beginning of the Waihaha trail. We’ll start off meandering alongside the banks of the Waihaha river. Things get more technical as we leave the shrubland and enter into dense podocarp rainforest. There’s some quick fire intense climbs and descents en route to the Waihaha hut where we’ll have lunch and make our way back to the trail head. After our ride we’ll head south into the volcanic central plateau. environment. After the ride we’ll take a jetboat ride down the Whanganui River to our waiting shuttle and return to Ohakune. A drive back north this morning brings us to “Kerosene Creek”, where the Rainbow Mountain ride begins. We’ll start out with a lung busting 40 minute climb to the summit of Rainbow Mountain. From the summit, the views out to Lake Taupo and North to Rotorua and the surrounding forests are awesome. Then it’s time for the steep, tight, technical descent through the forest on winding single track, all the way back down to Kerosene Creek. The beauty of this run is that we can do it all over again and double the fun! There’s a chance to soak in the natural hot springs after the ride, then we’ll head back to Rotorua. If you’re up for some more riding, then we can easily stop for some flow trail laps in the Redwoods for good measure. Rotorua is the cultural heart of New Zealand, and a fantastic place to explore, given the variety of options available – from zip lining, to lake cruises to rafting. We can point you in the right direction and help you reserve any activities you might like to do. 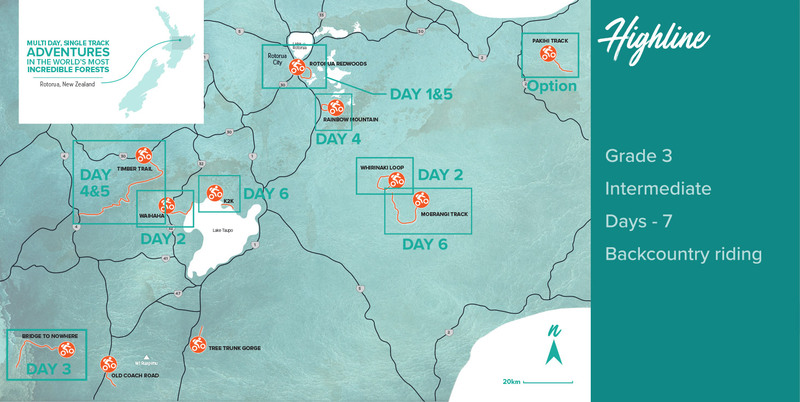 Or if you’re keen to kick back and relax, it’s also a good idea to have a non-activity day to be rested for the following days riding! 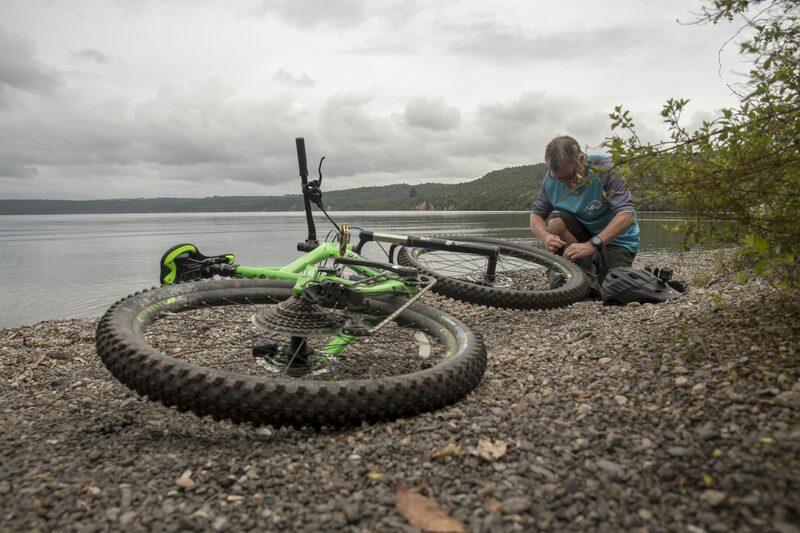 For those who are keen, we’ll have our bike guide and guru hold a bike maintenance workshop today, to go over our bikes and satisfy our need to tinker with our bikes. It’s good wholesome bike-nerd fun! 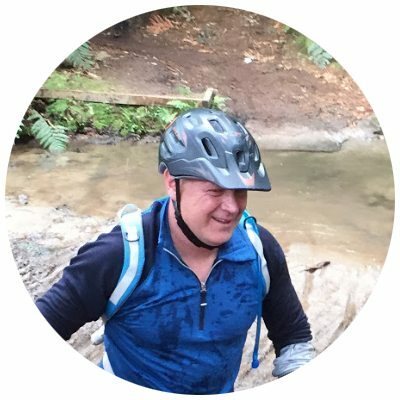 If you’d prefer to ride today, there’s a chance to get back into the Redwoods and explore more of the vast network of trails on offer. Things are always better when you introduce a helicopter into the mix, and the fun factor is ramped up even more when we’re dropped off in arguably one of the worlds most beautiful forests – and then we get to ride through it with absolutely no one around. After the chopper drops us into the mix, we’ll ride the tight single track through pristine forest, traverse big bluffs, take on some grunty climbs and enjoy a lengthy downhill descent to the end of the trail to finish it all off. It really is the jewel in the crown of New Zealand riding and the ultimate way to round off our trip. 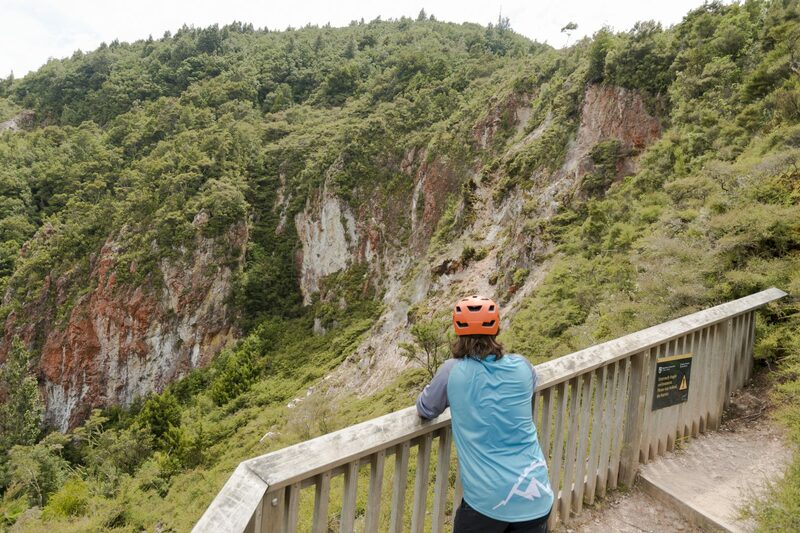 Today is the last day of your North Island riding adventure with us. 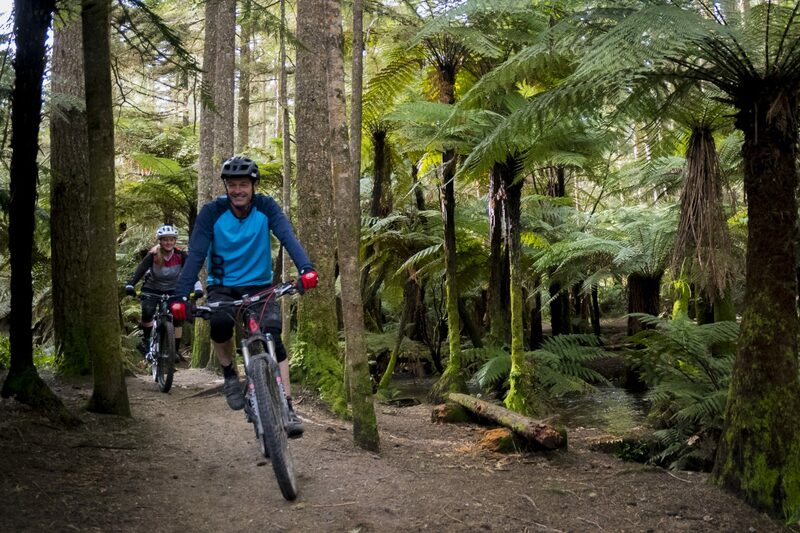 We hope you’ll have enjoyed your time here, having ridden some of the best trails in New Zealand and taken in the best scenery on the planet in the process. Our specialty is first class guiding, being welcoming hosts, taking care of all the logistics and nitty gritty details, and ensuring it’s all done in style. We’ll send you home relaxed, refreshed and looking forward to the next epic ride. 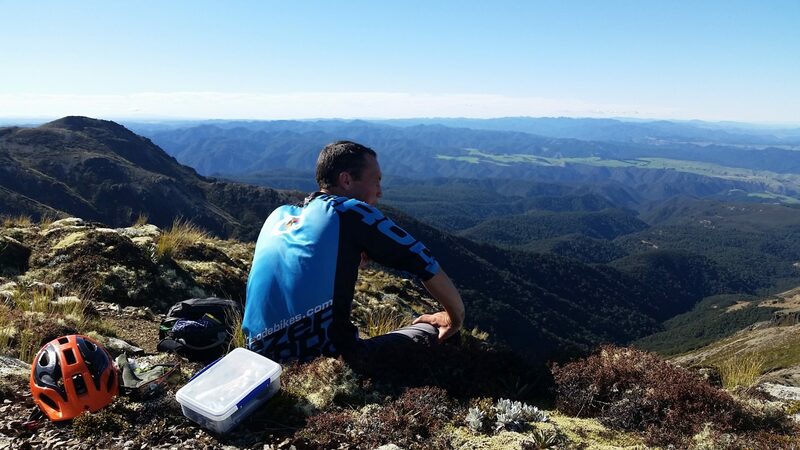 If you’ve chosen to stay on for this extra last day, get ready for the most unique heli biking trip in New Zealand, in one of the most beautiful areas in the North Island – the East Cape. After a drive through native forest and fertile plains of the Bay of Plenty, we’ll board a helicopter (complete with bike racks!) and fly into the densely forested of the Urutawa Conservation Area. This is BIG country, and the views are spectacular. After the drop off by our heli shuttle we’ll begin our ride on the Pakihi track. If there’s more fun to be had on a video gamey forest trail, we’re yet to find it. 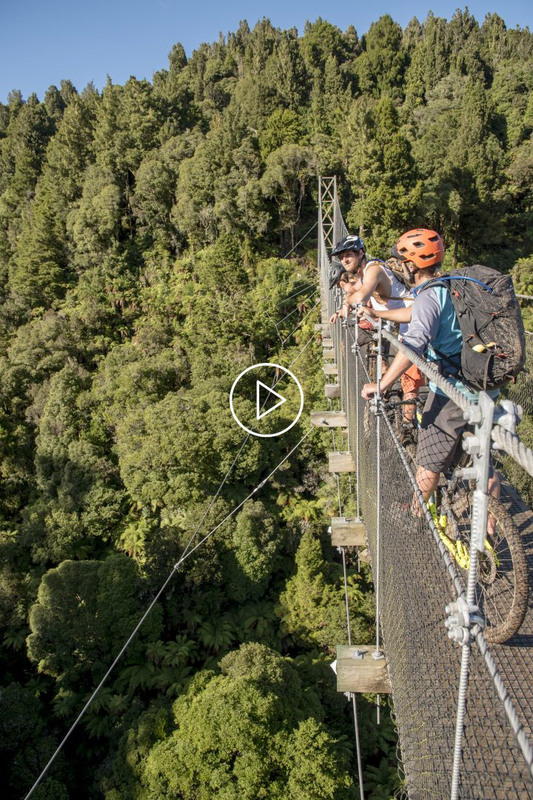 The mix of dense forest, views out across the river, cool bridges and non stop descent make this ride truly out of the box, and best of all, we’ll have it to ourselves! There are some steep drop offs in a couple of sections on the track, so we’ll be kept on our toes. At the end of our ride we’ll head back to Rotorua.